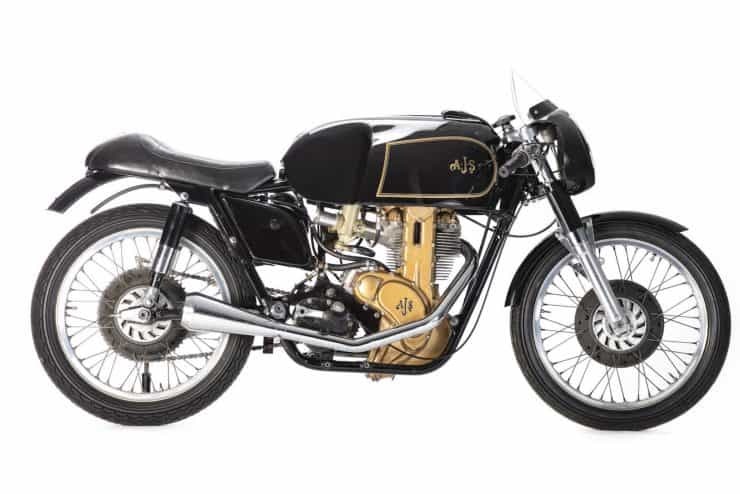 The AJS 7R was introduced in 1948, and was almost immediately nicknamed the “Boy Racer”. 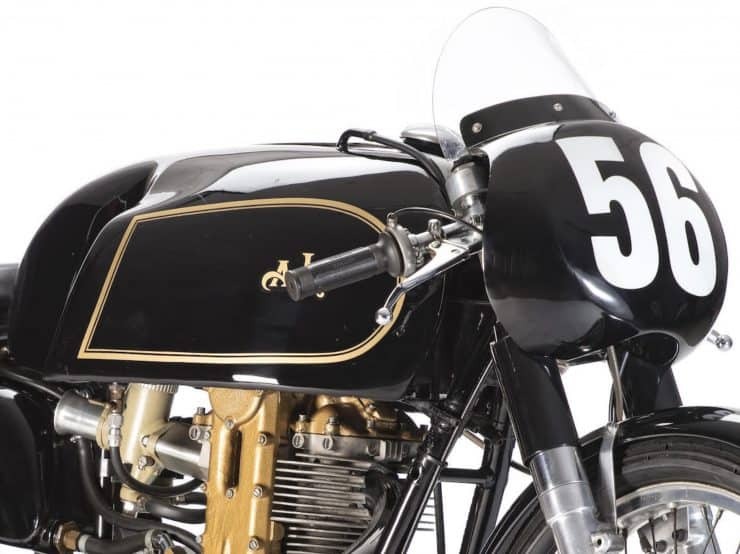 It would go on to be become one of the most successful over-the-counter racing motorcycles for sale in England at the time, and even today almost 70 years later the AJS 7R is a dominant force in the world of vintage motorcycle racing. 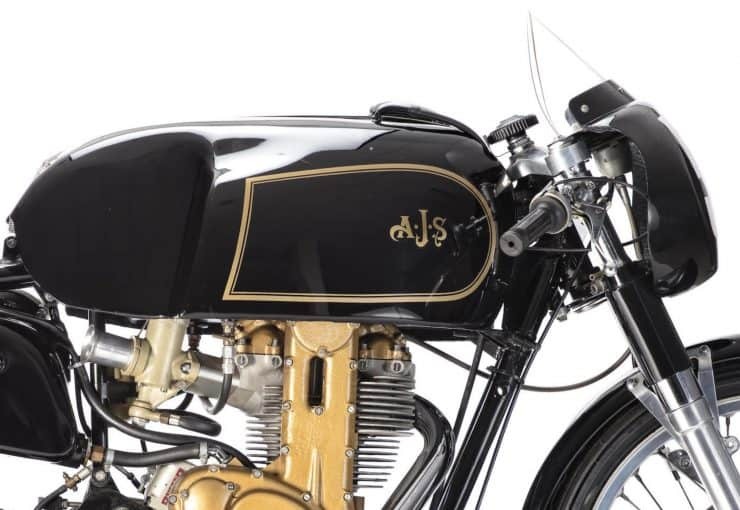 AJS was the name used for cars and motorcycles made by the Wolverhampton, England, company A. J. Stevens & Co. Ltd, from 1909 to 1931, by then holding 117 motorcycle world records. 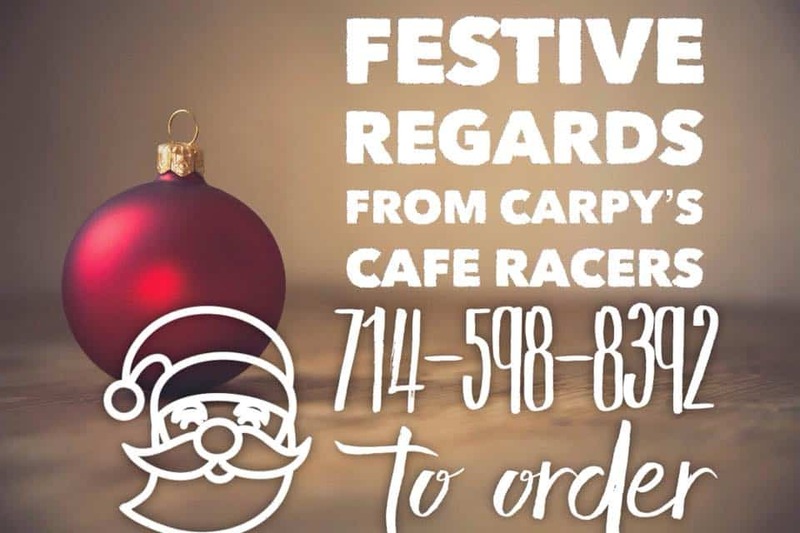 After the firm was sold, the name continued to be used by Matchless, Associated Motorcycles and Norton-Villiers on four-stroke motorcycles till 1969, and since the name’s resale in 1974, on lightweight, two-stroke scramblers and today on small-capacity roadsters and cruisers. The air-cooled engine sits in a duplex frame, and suspension is handled with telescopic shock absorbers at the rear and Teledraulic forks up front. 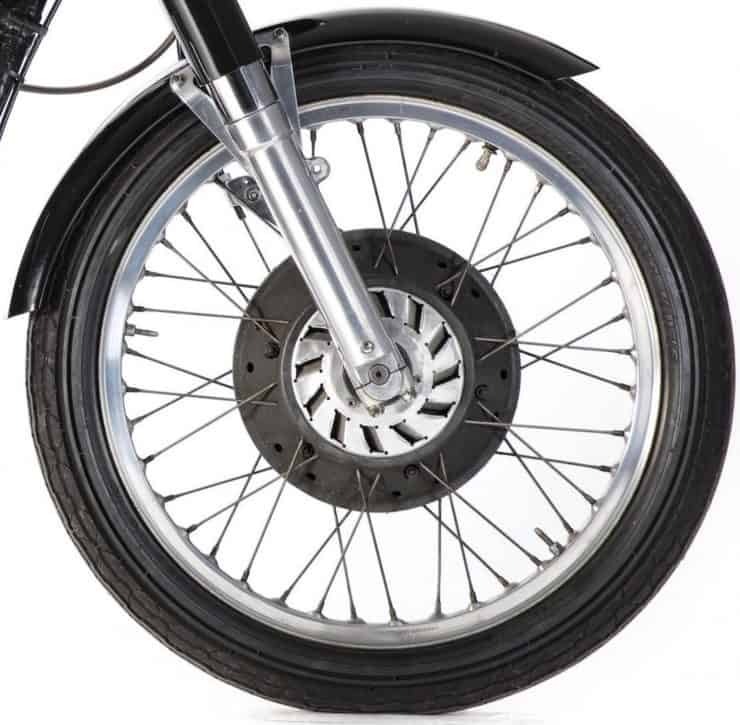 A small headlight fairing with a Perspex shield offers the rider a little cover when crouched down behind the dials on the straight. 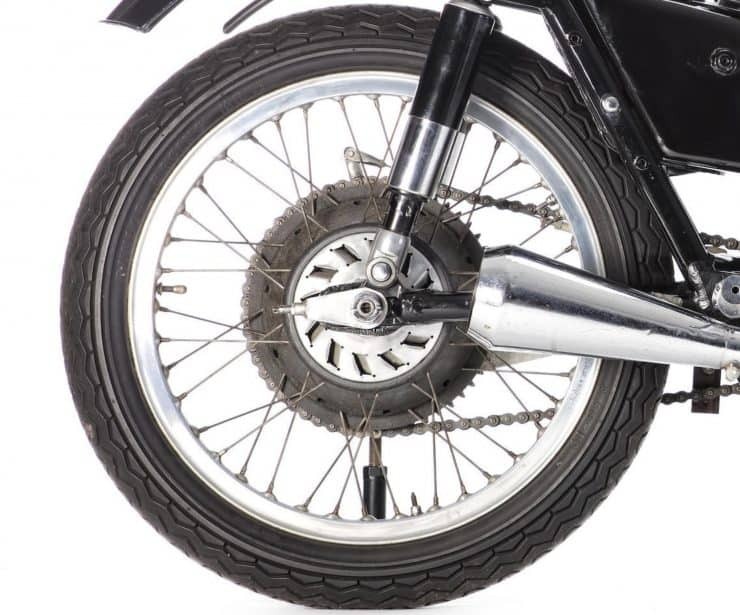 The original AJS 7R had a relatively svelte kerb weight of 285 lbs (129 kgs), which meant its 32 bhp could be put to good use. Over the course of its production run the model was progressively modified in an effort to keep up with the advanced multi-cylinder race bikes coming out of Italy. The bore/stroke was squared a little from 74 x 81 mm to 75.5 x 78 mm to allow a higher red line, and the valves angles were narrowed. 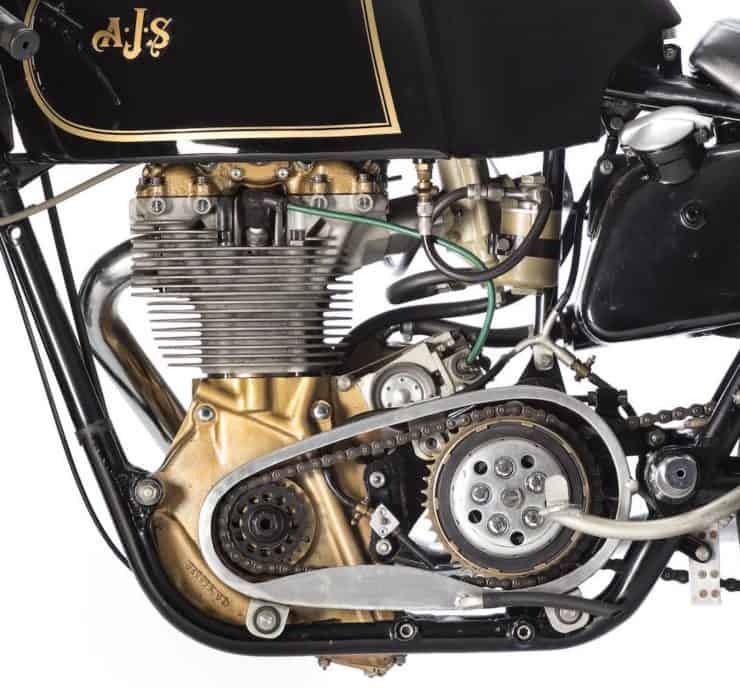 In 1951 an experimental derivative called the AJS 7R3 was built with a 3-valve head, and in 1954 the 7R was further improved – the engine was lowered in the frame to lower the centre of gravity, and further engine tweaks improved power to 40 bhp (at 7800 rpm). This newly improved 7R won the first two rounds of the World Championship and took a win at the Isle of Man TT – not a bad effort for a bike first introduced 7 years earlier – especially when you consider the pace of engineering advancement at the time. 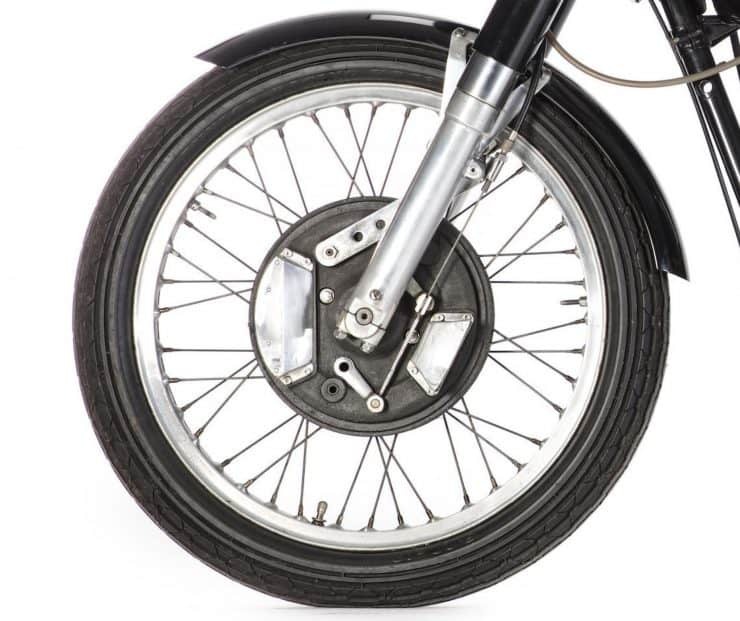 Wins for the AJS 7R would continue right into the 1960s, with victories at the Junior Manx Grand Prix races in 1961, ’62, ’63, and a 2nd place finish in 1966. Interestingly the 7R also won the inaugural F.I.M. 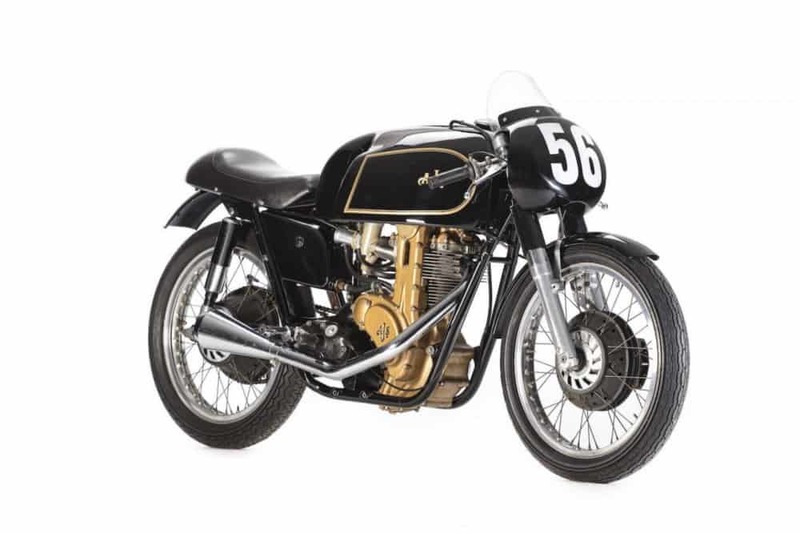 500cc Motocross World Championship in 1957 – Bill Nilsson of Sweden modified a 7R road racer into a motocross machine and nailed a convincing victory. Not something Phil Walker ever likely envisaged for the model. 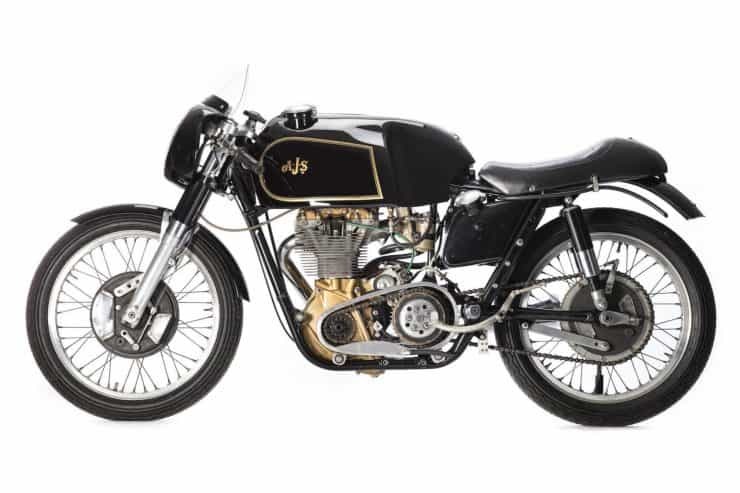 The AJS 7R you see here is an original 1956 model, meaning it benefited from the performance modifications introduced in 1954, it’s also fitted with the high-performance works camshaft, and a light weight magnesium gearbox and carburettor. 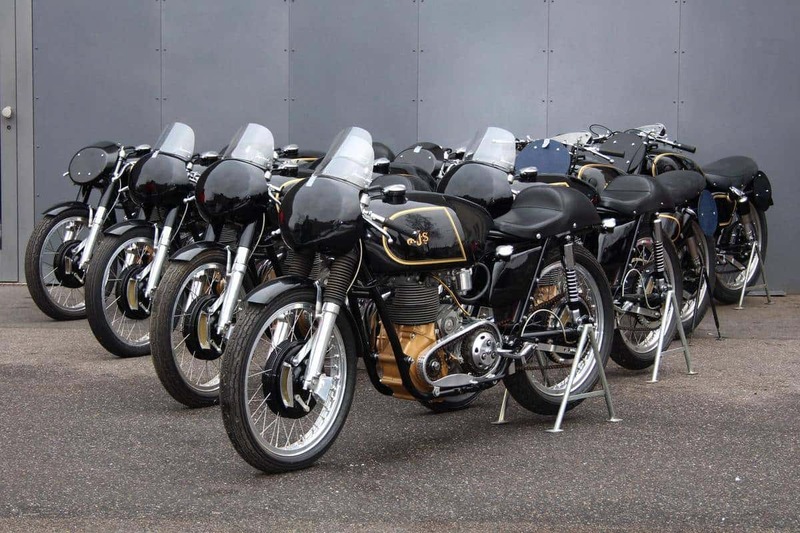 How cool would it be to own a stable of these Boy Racers, a very cool collection and would be fun to race the 350cc for sure. Sadly nothing is known about its racing history, but for those who’ve been looking to get into vintage motorcycle racing there are very few bikes better suited. Bonhams estimate it’s worth between £22,000 and £28,000, and it’s likely the bidding will be brisk when it rolls onto the auction block at the Spring Stafford Sale on the 23rd of April. As a kid I would hitch hike to Snetterton Race track to watch the Clubman races, I loved the pits and the mechanics etc but the distinct sound of a Single also had that resonating tone I will always remember. 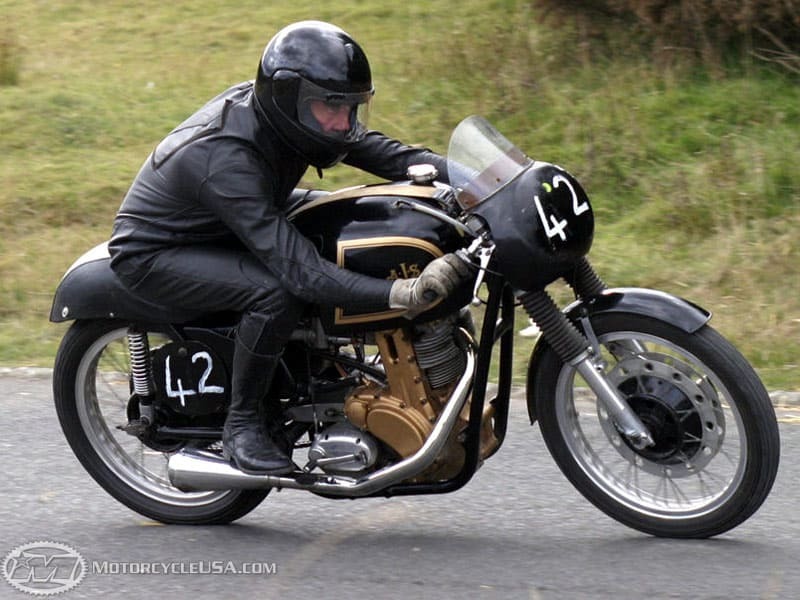 This entry was posted in Blog and tagged 350 Single, 59 club, AJS 7R, Boy Racer, British Motorcycle Coventry Motorcycle, classic motorcycle, clubman racing, fairing, isle of man, manx, megaphone, Reverse Cone, Road racing, snetterton, ton up, tt, Vintage Class.